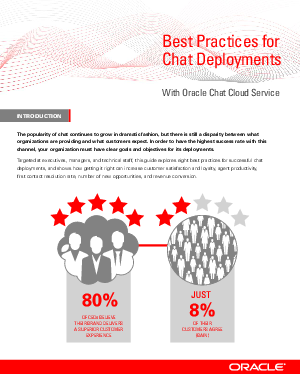 Despite the rise in chat adoption, many organizations are still not providing the service their customers expect. That’s why it’s essential to follow proven best practices, including defining goals, identifying key metrics, and appropriately hiring and training staff. With these foundations in place, organizations can establish routing and queuing practices, before customizing the solution to meet their specific needs, and fine-tuning analytics to further improve performance.